The pioneers of layout formation Dharampreeth Developers & Promoters was incorporated in the year 2009 catering to your needs of real estate investment. We were formerly operating under the bandwagonof Annapoorneshwari Enterprises. Our core belief structure evolves around 3 key business practices:QUALITY, TRUST& EXPEDITIOUS deliverance of our projects has enabled the organisation in enjoying customer loyalty for over three decades. Our businessis entirely focused around “YOU”. We believe in delighting you through the course of sale and post-sale activities.We do this by instilling due diligence on all our processes of land procurement, land conversions, clear land titles, plan approvals from authorised governing bodies and so on. We want you to enjoy a hassle-free experience with us. We have our very own dedicated in-house team which can take care of the construction and interiors of your house. We understand the importance of your time and money hence we establish investment opportunities in agile developing vicinities creating “WEALTH & HAPPINESS TO YOU & YOUR FAMILY”. Dharampreeth recognises the key to success is through having a dedicated, insightful and experienced human talent pool. Hence the company is managed by people who come with varied expertise from their own domains to accomplish herculean tasks in hand with ease and flair. Krishnappa is the Founder & Chairman of Dharampreeth Developers & Promoters Pvt Ltd. Being an LLB graduatehe understands the perplexities of the real estate industry comprehensively through his rich experience of over 30 yearsin both commercial and residential sectors. He is adept at land acquisition, development and other activities that are required to form conventionallayouts. His vision and perception is so precise that all projects formed through his direction have become land marks fetching high real estate growth and returns to lacs of our customers. As the Director of the company and an Engineer by qualification Chandrashekar brings with him a solid experience of over 16 years comprisingof real estate and software industries. He has worked for India’s top mostsoftware companies previously. He has travelled through continents enabling him versatility in various industries to understand the different aspects of business well enough. He is responsible for the commercial activities, driving the sales force and marketing of the company. He believes in the motto “Customer first” hence he ensures to provide world class projectswithin the stipulated time.His vision is what inspires the entire company to move towards greater ventures. With over 18 years of experience as a Chartered Accountant Sudhakar is the CFO of the company who is resolved in taking the company to its well deserved destiny. He is an effective leader and very professional at his approach. He is a key person in the management team in terms of making strategic decisions on how the organization will sustainably create value. He analyses financial and non-financial information for better decision making. 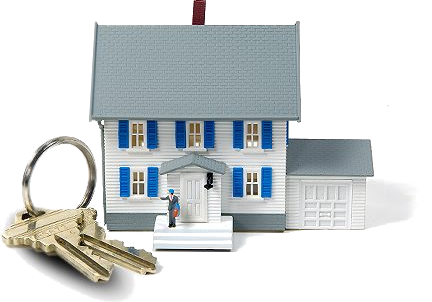 Namadev is the CLO of the company who has a comprehensive experience of over 30 years in real estate industry. He holds the honour of being a Legal Panel Head for a few nationalised banksand is well versed with all the technicalities and issues pertaining to land acquisition and construction. He is a focused individual having a keen eye on the most miniscule detail. He is responsible for scrutinizing the legalities of landand gaining clear titles for easy transactions through the company to the customer which is of utmost importance is today’s scenario. Copyrights © 2015 Dharampreeth Developers & Promoters Pvt. Ltd.